Looking for great easy snack that everyone in the family will love? 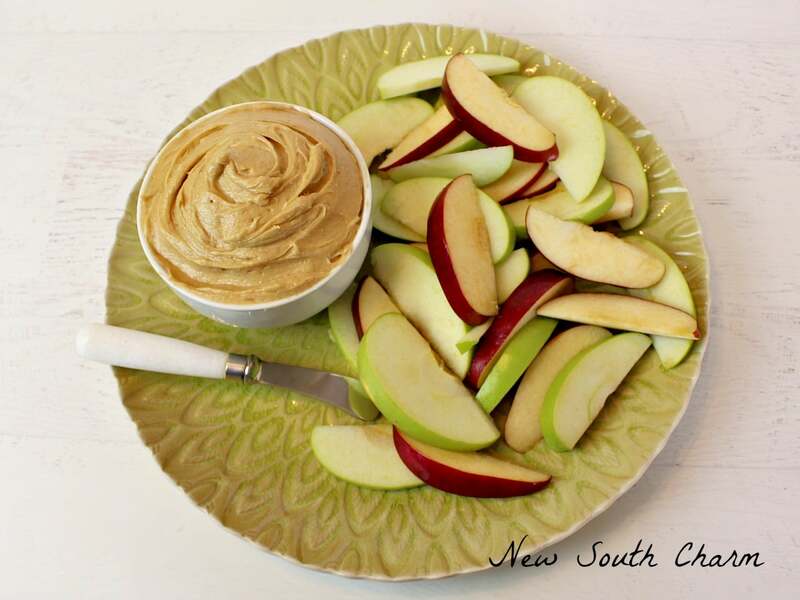 Then you’ll love this Creamy Peanut Butter Fruit Dip that’s made with only four ingredients. 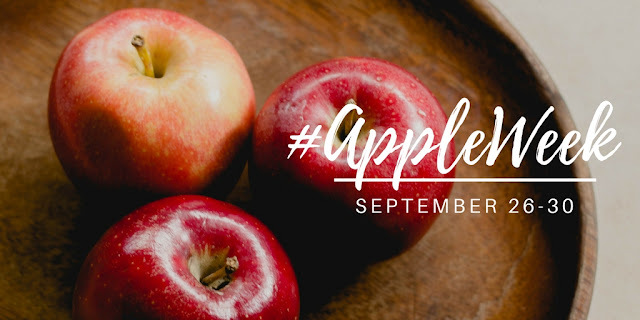 At the grocery store last week it was apple heaven. For me that’s one of the first signs that it is almost Autumn. I bought a few of my favorites Red Delicious Granny Smith Apples. 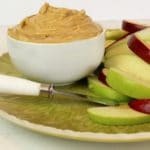 Once I had a few apples in my basket I new I wanted to make this Creamy Peanut Butter Fruit Dip to go with them. I love the combination of flavors. This dip is also great with almonds, walnuts and crackers. This recipe calls for softened cream cheese. Softening cream cheese can take a long time. I’ve got a couple great tips for you to soften cream cheese faster. Unwrap the block of cheese and cut it into 6 – 8 large squares. Place the cream cheese on a plate. Then let it sit out on the counter for an hour. If you’re in a real hurry then pop it in the microwave for 15 seconds. If it still isn’t soft then place it back in the microwave for another 10 seconds. Repeat for another 10 seconds if needed. Now that you know how to soften cream cheese in hurry you have no excuses to not make this yummy dip. But if you’re still not sure then let me tell you how easy it is to make. In a bowl with an electric mixer combine peanut butter, brown sugar, cream cheese and milk. Beat the mixture together until it is creamy and smooth. Place in a bowl with lid and refrigerate until ready to serve. to eat. 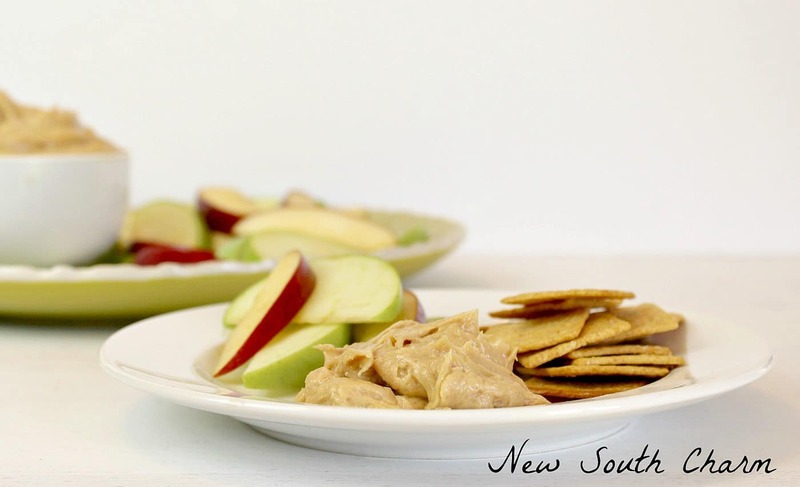 Serve this dip with apples, pears, nuts or crackers of your choice. Oooh, yum! That looks and sounds great! 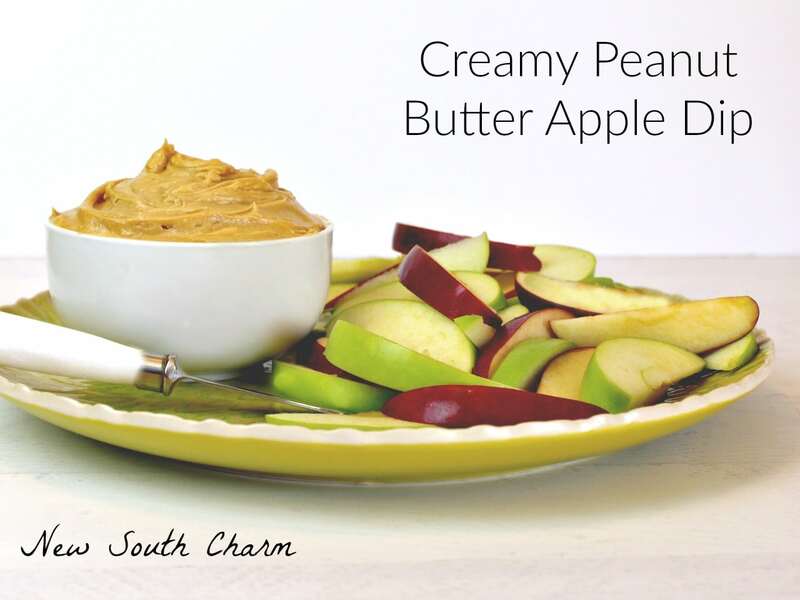 Peanut butter is one of my favorites and peanut butter and apple are a match made in heaven! I know I would dive into this tasty dish. So tickled you shared with us at Weekend Potluck. (Did I miss seeing a link back to the party? It makes you eligible to be featured) Please come again soon. And enjoy a great holiday weekend. 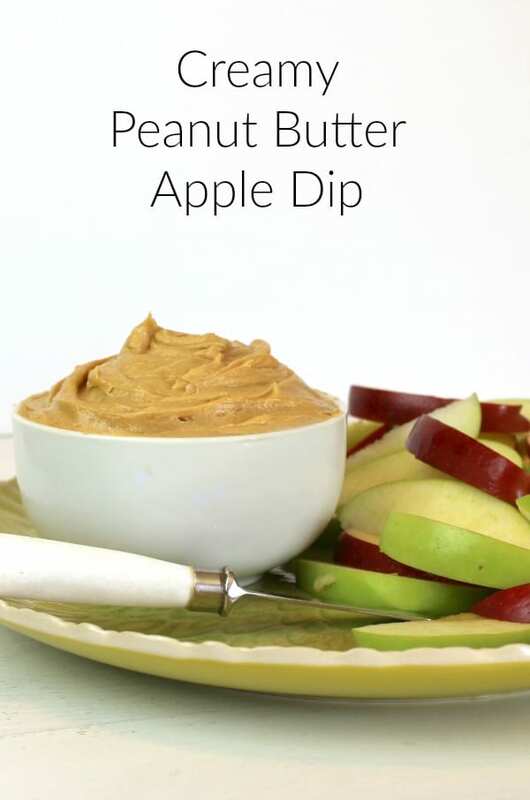 I am a peanut butter fanatic and I love it with apples. Thanks for sharing this recipe. I know I love ANYTHING with peanut butter in it. The first time I made this dip I ate most of it myself.